This product only can be used to update the preloaded maps that came installed on your device. For example, a device preloaded with North America maps cannot be updated with a nüMaps Europe subscription, and vice versa. Navigate reassured you’ve always got the latest maps for Europe on your Garmin sat-nav with all the new businesses, street changes and junction alterations. This one-off purchase lets you refresh your maps with updated points of interest, routes and address data for the lifetime of your individual Garmin GPS as soon as new content is available. Simply enter the product key into myGarmin™ and download your new set of map updates. You will receive map updates when they are made available on the Garmin website. Even if your original maps just covered a single region, nüMaps upgrades 1 device for the whole of Europe so you enjoy a Lifetime of confident navigation. SD card may be required. 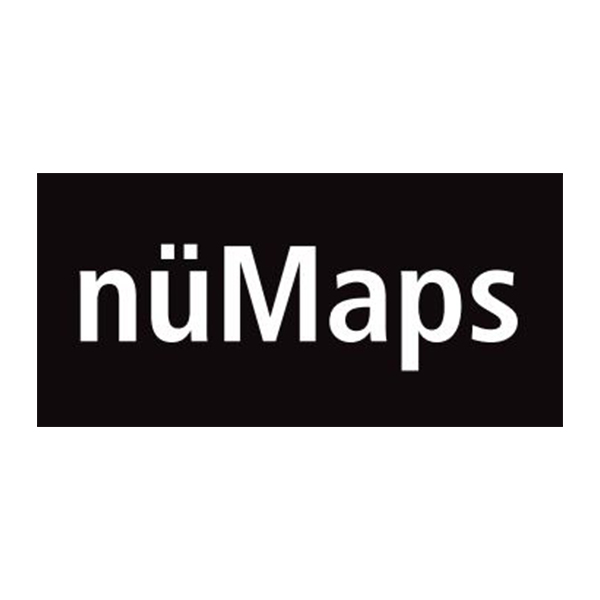 The nüMaps Lifetime subscription is available as a download or a gift card. Purchase the download to update your maps straight away or give the gift of new maps with our gift card; it's the perfect present for friends and family who own a Garmin device. To use nüMaps Lifetime, all you need is your Garmin device, your computer and a USB cable. There are no monthly fees or continuing maintenance costs; you pay only once per Garmin GPS. When you want to update your maps, connect your device to your computer and log into your myGarmin account where the latest map data is ready to install. We’re constantly gathering new map data, and you will receive map updates when they are made available on the Garmin website. Sign up for our email notifications and we’ll let you know when the newest data is available.Navigate with confidence with nüMaps Lifetime. This map update only can be used to update the preloaded maps that came installed on your Garmin device¹. For example, a device preloaded with Europe maps only cannot be updated with a nüMaps Lifetime North America Map Update, and vice versa (Check product compatibility). nüMaps Lifetime gives you full access to the entire map coverage; however, some units have limited memory and may not load the full Europe map (nüMaps Lifetime also will update City Navigator® NT maps on your computer). A card reader and microSD™/SD™ card are required to download mapping to the following Garmin devices: eTrex® Legend Cx/HCx, Vista Cx/HCx, Venture Cx; GPSMAP® 60CSx/60Cx; GPSMAP 76CSx/76Cx; Rino® 520HCx/530HCx; Astro® 220; StreetPilot® 7200/7500 (Not all devices are compatible with all downloads. View the Products tab for compatibility with this product). Map downloads are non refundable. This map update may take up to several hours to download and is not for use with dial-up Internet access or Satellite Internet Providers. Actual download speeds may vary. nüMaps Lifetime map updates only may be installed on 1 (one) compatible unit. Please purchase additional quantities for additional units. If you purchase a nüMaps Lifetime subscription (sold separately), you will receive up to 4 (four) map data updates per year, when and as such updates are made available on Garmin’s website, for 1 (one) compatible Garmin product until your product’s useful life expires or Garmin no longer receives map data from its third-party supplier, whichever is shorter. The updates you receive under the subscription will be updates to the same geographic map data originally included with your Garmin product when originally purchased (It is possible to use Lifetime map updates if you purchased a City Navigator® map on DVD and it is used on the same computer you installed the City Navigator maps). In some instances, your Garmin product may not have sufficient memory remaining for you to load an update to the same map data originally included with your Garmin product, in which case you will need to either (a) select reduced map data coverage for your updates, or (b) purchase separately a microSD card or a SD card (as applicable to your Garmin product) and load all or a portion of the map data coverage for your updates to the card and insert the card into the microSD card or SD card slot contained in your Garmin product. For a list of the device models that might not have sufficient memory for the originally pre-loaded map region, click here. Garmin may terminate your nüMaps Lifetime subscription at any time if you violate any of the terms of this agreement. Your nüMaps Lifetime subscription may not be transferred to another person or another Garmin product. High-speed internet access is required. Not for use with dial-up or mobile broadband internet access. Includes USB device drivers. You will need 7 (seven) GB of disk space to run this update. This product only updates the maps that came preloaded on your Garmin device. Due to an increase in file size, this map update may not fit on your device. Remaining map data may be saved on a microSD/SD card if your unit has a card slot available. The following requirements are the current requirements. These requirements may change as the applicable technology evolves or is updated. Garmin reserves the right to discontinue support of the versions of the PC or Mac® operating systems listed below if and when it is no longer commercially practical to provide support for such versions as a result of the release of updated versions. 8 GB free disk space for initial installation; 3 GB disk space after installation. ¹ If your Garmin product does not include, or you do not purchase separately, the map data you want to update using your nüMaps Lifetime subscription, then you must purchase the map data separately before you can load the updated map data onto your Garmin product. Features detailed maps of major metropolitan areas in Europe, including motorways, national and regional thoroughfares, and local roads.